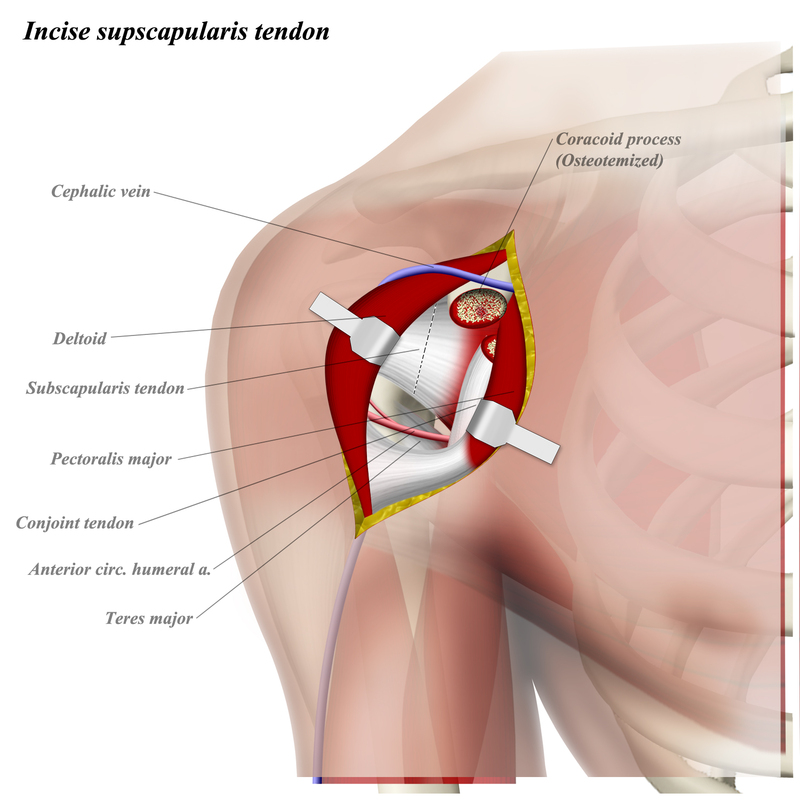 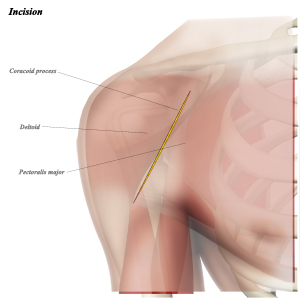 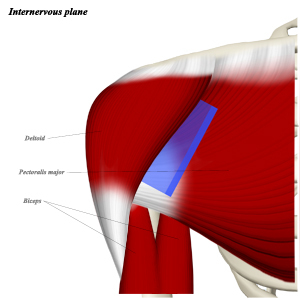 this approach can be a fairly extensile exposure, allowing access to the anterior, medial, and lateral aspects of the shoulder. this approach is done in a supine position with a roll or wedge under the medial scapula. 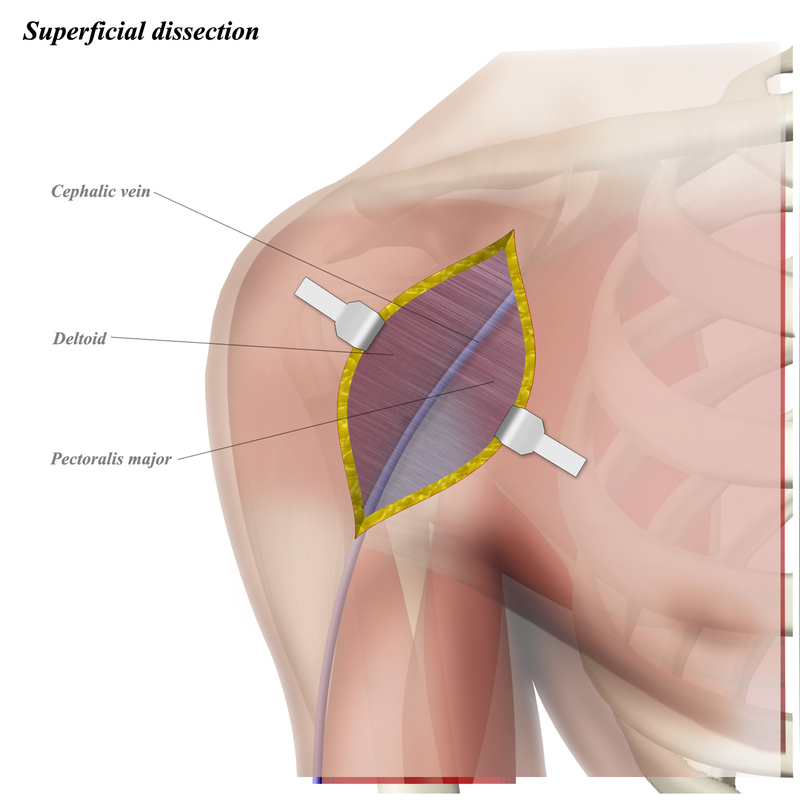 the cephalic vein can be mobilized either medially or laterally, depending on patient factors and surgeon preference. the short head of the biceps and coracobrachialis arise from the coracoid process and are retracted medially. 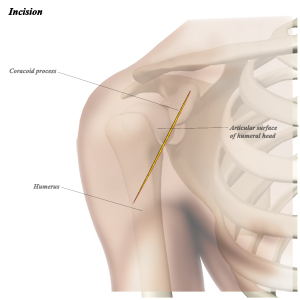 The musculocutaneous nerve enters the biceps 5-8cm distal to the coracoid process; retraction of the conjoint tendon must be done with care.